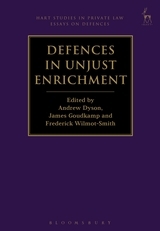 This book has been awarded Joint Second Prize for the 2014 Society of Legal Scholars Peter Birks Prize for Outstanding Legal Scholarship. 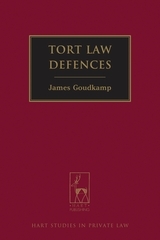 “...Goudkamp's book is the first scholarly study of tort law defences as a whole, and as such is a major addition to the scholarship of tort law. 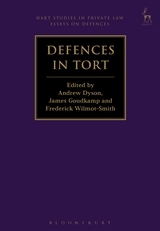 The range of the author's scholarship is impressive, not only in its scale, in that it has extended over the whole field of the law of torts, but also jurisdictionally, and in the use he makes of criminal law scholarship about defences - which may be a first for torts scholars. There are passages which are heavy on theory...which are particularly telling in showing the author's mastery of such areas. The work as a whole has carved out a new area in tort law research and is a most impressive contribution to the scholarly literature on this subject. “... Tort Law Defences... forces everyone with a serious interest in tort (and more widely in private law) to think harder about the topic. 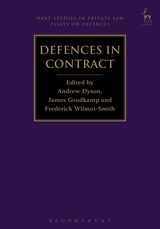 ...this is the first serious study devoted to the subject in the common-law world. 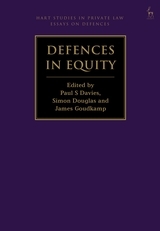 That tort law defences have been under-analysed is self-evident: indeed, Goudkamp's namesake book is the first serious attempt to conceptualise them. This is enough in itself to make it a landmark in tort scholarship. If defences are one day recognised as a coherent field of study, it will be in large part this book's heritage. ... Tort Law Defences is ... a pioneering work. It challenges us to think harder about doctrines which are extremely important, both on a theoretical and a practical level. 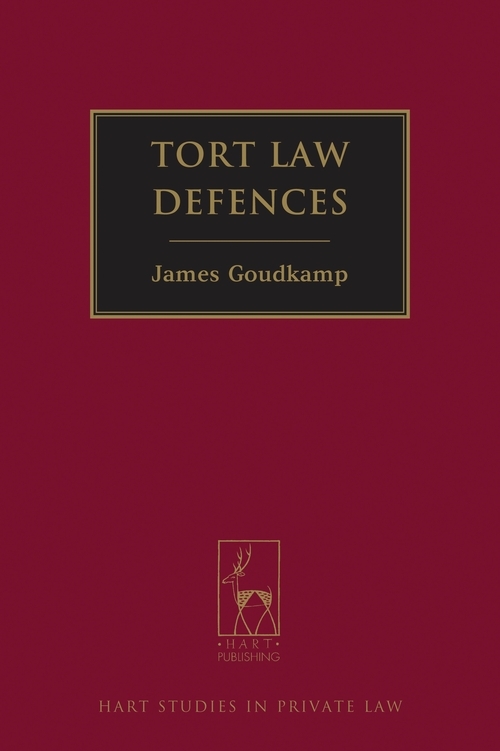 “In this very significant and thought-provoking book, James Goudkamp offers a fresh conceptualisation of the law governing tort defences, and does so with a rigour and energy that make the book a chellenging yet highly worthwhile study... It is an invaluable addition to torts scholarship. This fine book makes an ambitious argument that is sustained by rigorous scholarship and expressed with clarity and cogency. It deserves to be read and analysed by all those interested in tort law and the law of obligations.